This cocktail table offers a modern take on the beauty of natural, unspoiled elements of nature. The travertine table top has been left unfilled, this allows its porous and authentically beautiful nature to shine. Its open and contemporary styling brings a unique look to this piece, especially perfect for eclectic home decors. 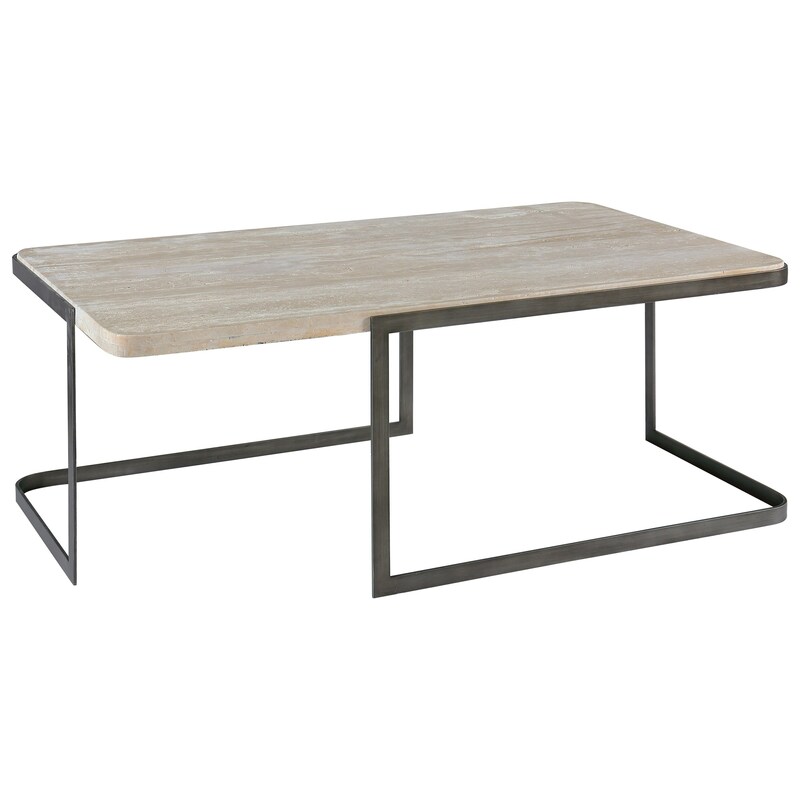 The Deaton Contemporary Rectangular Cocktail Table with Metal Base by Magnussen Home at HomeWorld Furniture in the Hawaii, Oahu, Hilo, Kona, Maui area. Product availability may vary. Contact us for the most current availability on this product. Focused on highlighting the beauty of natural elements, this collection brings contemporary style to your living room. The use of metal with natural travertine makes the unique and modern style for these pieces. Able to blend in casual, modern, or eclectic home decor styles, this collection is sure to bring the wow factor to your living room. The Deaton collection is a great option if you are looking for Contemporary furniture in the Hawaii, Oahu, Hilo, Kona, Maui area. Browse other items in the Deaton collection from HomeWorld Furniture in the Hawaii, Oahu, Hilo, Kona, Maui area.